Choosing a connection speed that won’t slow you down will depend on whether you plan to spend your time on the internet sending email, downloading music, streaming videos, or gaming. Need some help figuring out which broadband speed is right for you? Take a look at our handy comparison table below to see how different broadband speeds shape up in real life. Bandwidth refers to the volume of data that your internet connection can carry. An internet connection with a larger bandwidth can move a set amount of data much faster than an internet connection with a lower bandwidth. How much bandwidth do you need? Well it depends on how many people use broadband in your home and whether they are checking email, surfing the internet, streaming content or gaming. You need enough bandwidth to handle the way you use the internet, but you don’t want to pay for more bandwidth than you need. The number of connected devices in the house will affect your internet speed. Bandwidth is similar to water flowing through a pipe into your home – for example if you are enjoying a shower, someone else turns on a tap and your water pressure goes down. As the size of the pipe increases, so does the amount of water that can flow through it. If you are streaming a movie, someone else is playing an online multiplayer game, and a couple of other people in the house are downloading files. It’s likely that everyone will feel that their internet service is a bit lethargic with frequent buffering. 4k video: stands for ultra-high definition video. For a home with multiple devices streaming 4K you will need to aim for at least 100Mbs. Netflix recommends at least 25Mbs, but you are likely to experience some buffering. Fortnite, Counter-strike, Overwatch, League of Legends – whatever your preference for online games, you don’t want the wrong broadband plan to slow you down. 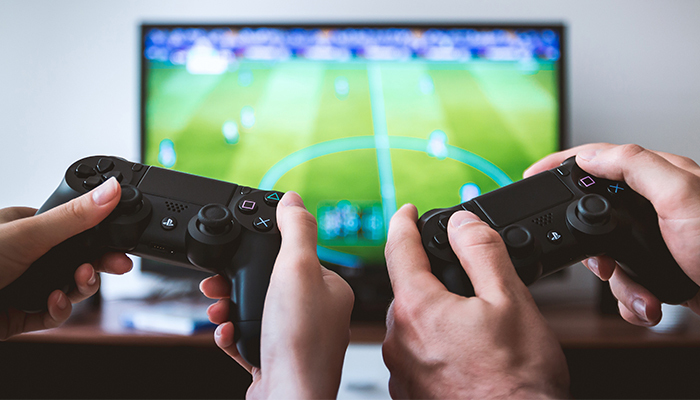 If online gaming is your jam, and you live in a home or flat with multiple user streaming content – it worth investing in a high speed broadband plan. If you’re just planning to use your home internet to check email, do a bit of browsing, and watch the occasional movie, there’s no need to spend extra money on super high speed internet with all the bells and whistle. Keep in mind that the speed you signed up for isn’t necessarily the speed you get, as there are lots of factors that can effect your broadband performance. Try checking your broadband speed and these tips to get the most out of your broadband experience.